Note: We have already covered the features and study items introduced in 3GPP Rel-15 on our blog here and here. Study on NR beyond 52.6 GHz: With NR already covering spectrum up to 52.6 GHz, this study item focuses on identifying the target spectrum ranges beyond 52.6 GHz up to 100 GHz that could be utilized for NR transmissions. As the spectrum at this range is susceptible to higher phase noise, extreme propagation loss due to high atmospheric absorption, lower power amplifier efficiency, and strong power spectral density regulatory requirements, the study needs to come up with new waveforms, requirements in order to operate in such conditions. Also, the study will work on identifying the usecases that could utilize this spectrum efficiently. Study on Self-Organizing Networks (SON) for 5G: The different requirements that need to be fulfilled by the 5G NR network vary from providing support for eMBB (enhanced Mobile Broadband) to URLLC (Ultra Reliable Low Latency Communications), and mMTC (massive Machine Type Communications). All these are fundamentally having different QoS requirements and the 5G NR network must be tuned to provide the best service for each class. This study focuses on utilizing and enhancing the SON capabilities to deal with the complexities of the 5G networks. 5G SON would be built upon the latest advancements in AI and machine learning to predict and act optimally to make sure the network performs with utmost efficiency. Study on NR V2X: This study item is focused on the role of NR in deployment of advanced V2X services as part of the 3GPP V2X phase 3. The advanced V2X services are those services which are developed beyond the scope of LTE Rel-15 V2X and would require enhanced NR system and new NR sidelink to meet the stringent requirements. Among the requirements for NR V2X system are: need to have a flexible design to support services with low latency and high reliability requirements along with support for higher capacity and better coverage. This study item will need to provide a flexible sidelink design along with defining other essential parameters for enabling NR V2X. Study on Cellular IoT support and evolution for the 5G System: The cellular IoT landscape had many changes with Rel-13 and Rel-14 of LTE with eMTC and NB-IoT being introduced. These new enhancements for cellular IoT in LTE also brought in many changes related to power saving, overload control, high latency communication on the core network side. 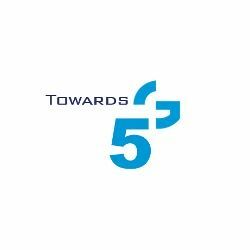 During the development of 5G it has been agreed that 5G within its framework would be able to support the requirements for cellular IoT as well. In order to achieve this, this study items will focus on identifying solutions for the 5G core network that will enable it to provide at least the same basic set of features that are required to make cellular IoT possible. Feasibility Study on 6 GHz for LTE and NR in Licensed and Unlicensed Operations: This study item is related to the initiatives taken up by various bodies, such as CEPT and FCC, to use the 6 GHz frequency range for deploying Wireless Access Systems. This study item will help to come to a common understanding regarding the usage and requirements for this band in different regions. The frequency range of interest is 5.925-7.125 GHz which could be utilized for existing technologies such as LTE/LAA/eLAA along with new generation NR and NR-unlicensed (NR-U) technologies. 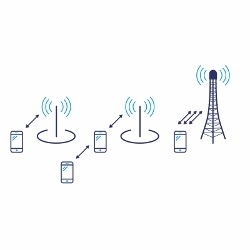 For unlicensed access, LTE LAA and LTE eLAA can utilize the frequency range from 5.925-6.425 GHz. Study on NR-based Access to Unlicensed Spectrum: Like we have seen in the last releases of LTE especially Rel-13 and Rel-14, access to unlicensed spectrum in order to get much higher bandwidth for low cost to the operators is a very novel proposition. In continuing with this trend, in order for NR to utilize the same benefits from the unlicensed spectrum, this study will look into the possible deployment methods along with the requirements for a NR-based unlicensed access. The bands of interest would be sub7 unlicensed bands such as 5GHz and 6GHz. This study will also take into consideration Dual-connectivity scenarios where NR-LAA is anchored to a legacy LTE carrier along with CA opportunities within NR. This study will also look into the standalone deployment of NR in unlicensed spectrum. In the end the study should deliver a unified solution which meets the regulatory requirements of the various countries for accessing the unlicensed spectrum by methods such as Listen-Before-Talk along with fitting within the framework of NR. Study on Non-orthogonal Multiple Access for NR: The concept of using non-orthogonal multiple-access gained momentum during Rel-14 as it was part of a study item. The benefit of having a non-orthogonal multiple access especially in terms of UL is that it enhances the sum throughput along with system capacity. In order to deal with the interference caused by the non-orthogonal transmissions using overlapping resources the transmitter side would need to use schemes such as spreading and interleaving. This study will further evaluate non-orthogonal multiple access schemes focusing on uplink and provide recommendation on them. As we can see from the above, there are a lot of items currently being discussed in 3GPP for making into Release 16 that would enhance the existing LTE and 5G RATs towards achieving the goals of IMT-2020. We can see that some of the items are targeting improving the current 5G system (like use of even higher frequencies, SON, IoT improvements), while others expand its scope (like NOMA, unlicensed spectrum, V2X). 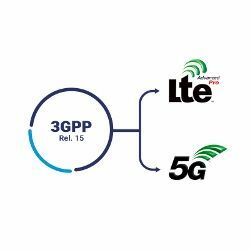 3GPP Release-16 or “5G phase 2” is slated to be completed by December 2019 and shall be fully compliant with IMT-2020 requirements. It would be interesting to see the final outcome of these work items and how they influence their respective RATs. We will keep you posted regarding the latest developments. M. Rahnema, M. Dryjanski, “From LTE to LTE-Advanced Pro and 5G”, Artech House, 2017. Note: ETSI is the copyright holder of LTE, LTE-Advanced and LTE Advanced Pro and 5G Logos. LTE is a trade mark of ETSI. 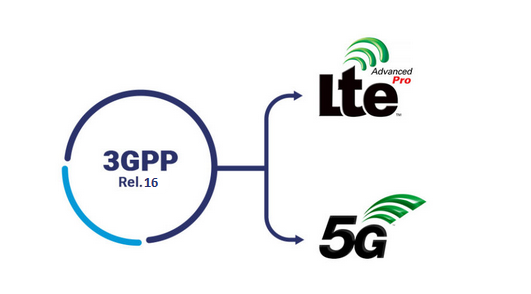 Grandmetric is authorized to use the LTE, LTE-Advanced, LTE-Advanced Pro and 5G logos and the acronym LTE.